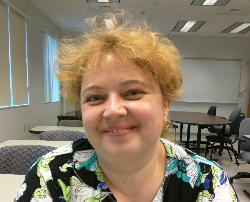 After productive stays at Emory, Florida, and Michigan, we are delighted to welcome Dr. Roxana Stefanescu as a Research Scientist at HBBL. Roxana was an outstanding student at the Center, completing her PhD in Physics under Viktor Jirsa in December 2009. Roxana will bring her special theoretical, computational and experimental skills to bear on our NIMH grant “Neuromarkers of Social Coordination: A Dynamical Approach”.